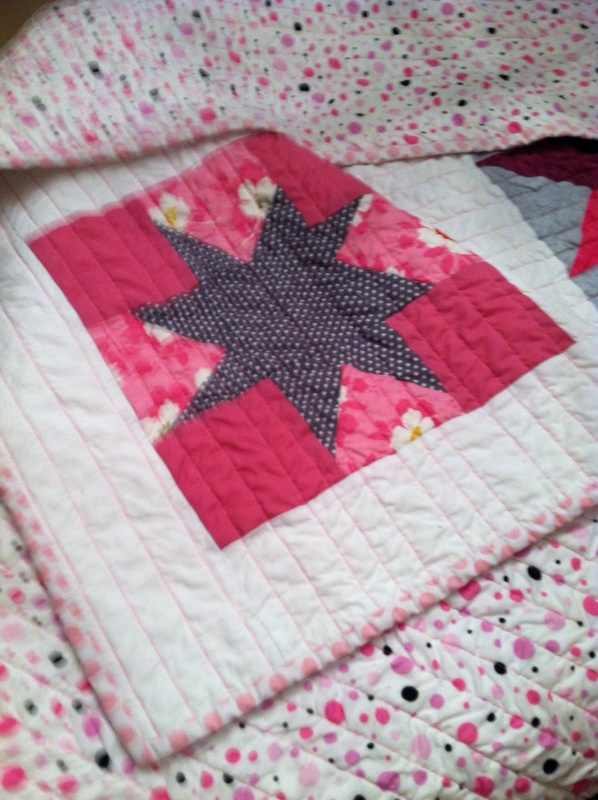 Well, after taking all that messy tape off the quilt and ripping out some seams, I finished quilting. I only used one taped line at a time and it seemed to work. Here’s the finished quilt all washed and ready to go. 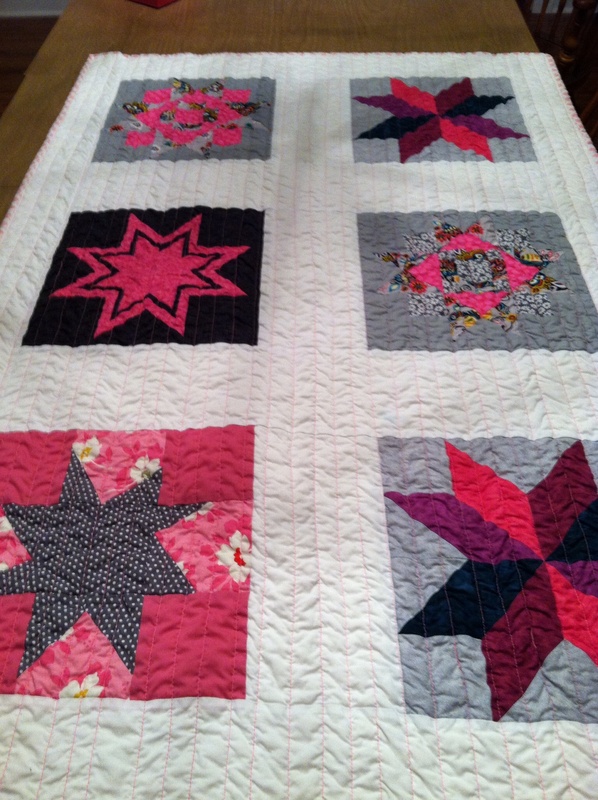 A big thank you goes to all the Emerald Coast Modern Quilt Guild members who made the beautiful star blocks for this quilt and another one that is being quilted now! 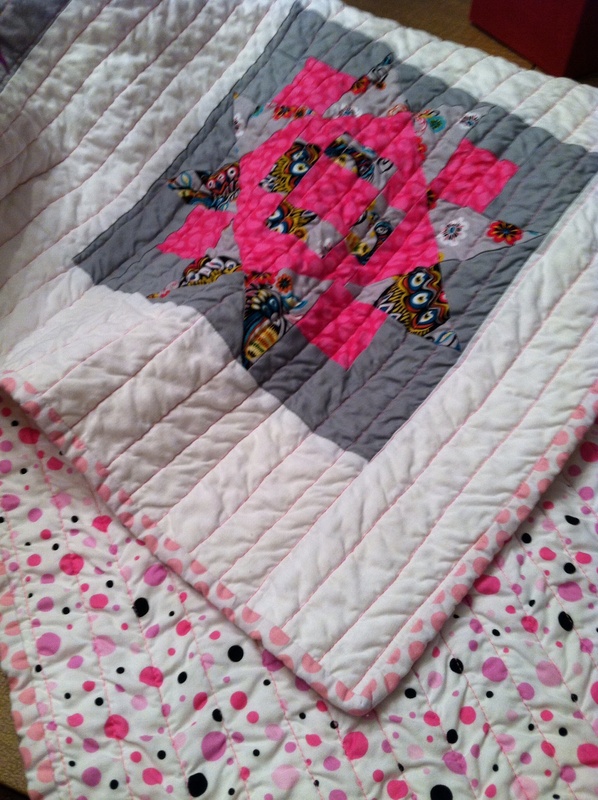 This quilt is going to a sweet little girl! This entry was posted in Uncategorized and tagged Emerald Coast Modern Quilt Guild, Modern Quilting, Quilting. Bookmark the permalink. 5 Responses to The Mess is Fixed! I love it’s crinkly goodness and the backing fabric is perfect. This finish makes you eligible again!! Lucky. I may borrow some of your pics for the website. Thanks, Boo. Hope all is well with you. Diane….like your quilt. You are doing great with the quilting.